Join us on November 30, 2018 for Cooper’s Cask for a Cause benefiting the Weinberg Memorial Library’s Bonnie W. Oldham Library Research Prize Endowment. A special firkin (small cask of beer) will be tapped and proceeds from each pint sold will be donated to the research prize endowment! Admission is free! Must be 21 to enjoy the firkin. 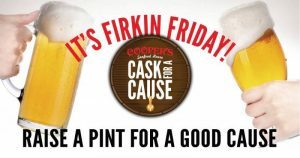 What: $1 from each pint from the firkin will be donated to the Endowment. What is a firkin ale? A firkin is a small keg, holds about 10 gallons or so of cask-conditioned, 50°F beer. Cooper’s sources their firkins from breweries in their backyard to breweries across the country! The cask is always a special, one-of-a kind beer connoisseur’s treat. It is available only until it runs dry, which could be just hours (or less) after it’s tapped. Can’t make it, or not into beer? Give directly to the Endowment Fund at this link and ensure the Bonnie W. Oldham Library Research Prize will be awarded in perpetuity! 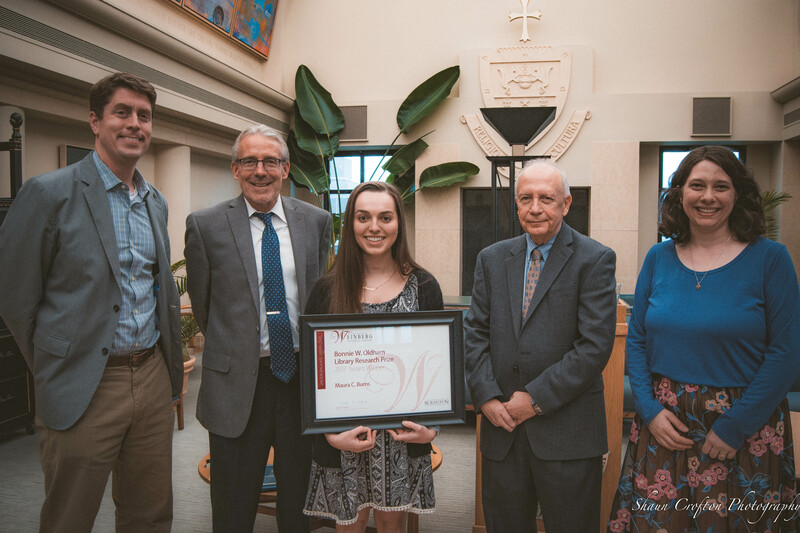 Maura C. Burns is the winner of the 2018 Bonnie W. Oldham Library Research Prize in the Undergraduate Upper-level category, which is awarded to the winning project completed in a 200- to 400-level course. Maura is a senior History major with minors in Biology and Biochemistry from Jessup, Pennsylvania, who submitted to the competition her paper “Medicine in the American Revolution,” completed in the course HIST 490: Senior Seminar on the American Revolution, taught by Dr. David Dzurec. In her description of research she explains, “I learned that the University of Scranton website connects to a network of libraries and resources that helped me form the backbone of my paper.” Maura goes on to rightly note that “just like history, research is unpredictable,” and that “research is a learning experience in and of itself,” things she learned through conducting the research for this project. 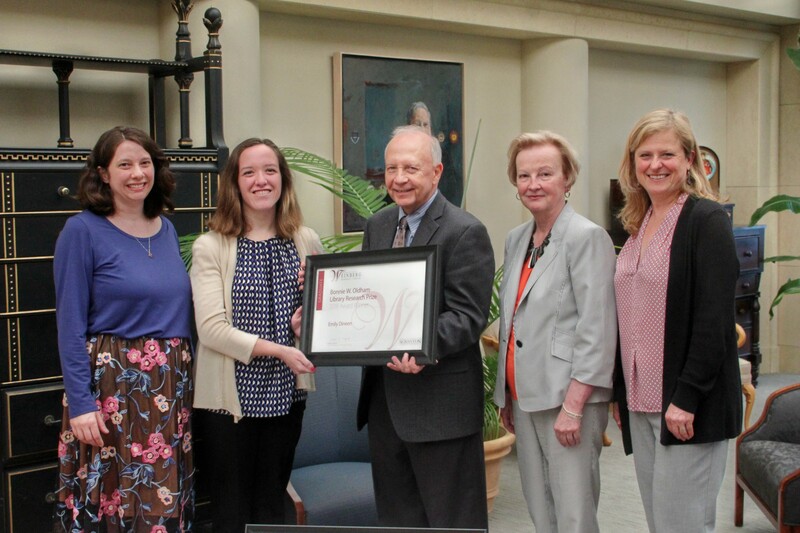 The Weinberg Memorial Library inaugurated the prize in 2011 to recognize excellence in research projects that show evidence of significant knowledge of the methods of research and the information gathering process, and use of library resources, tools, and services. In 2017, the prize was named for Professor Emerita Bonnie W. Oldham, who founded the prize at the University in 2011. Honorable Mention awards in the Undergraduate Upper-level category included Catherine McManus, a junior Biology major with a minor in Political Science, as well as group partners Luis Melgar, a senior Exercise Science major with minors in Spanish and Theology, and Julianne Burrill, a junior Exercise Science major. Emily Dineen is the winner of the 2018 Bonnie W. Oldham Library Research Prize in the Graduate category. New in 2018, the Library has created a third category to recognize research excellence and learning in the first year. 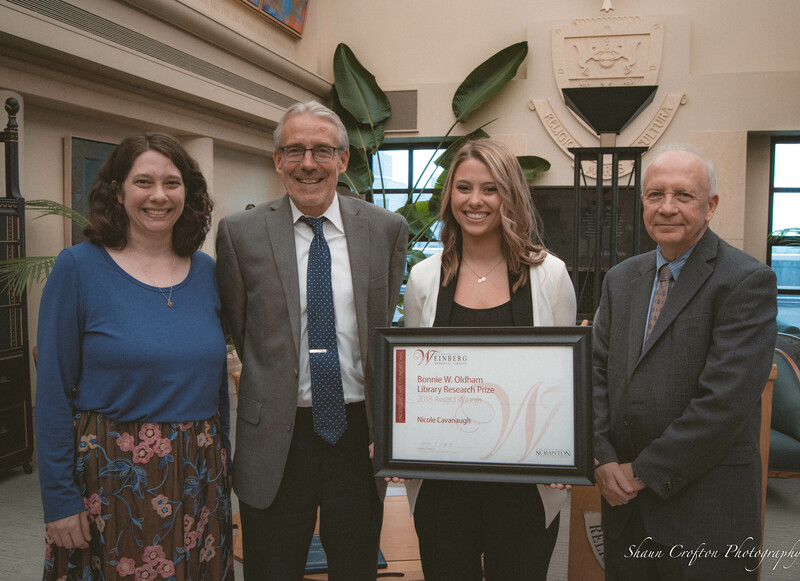 Nicole Cavanaugh is the winner of the 2018 Bonnie W. Oldham Library Research Prize in the Undergraduate Foundational category, which is awarded to the winning project completed in a 100-level course. Honorable Mention awards in the Undergraduate Foundational category included group partners James P. McKane Jr., a first-year History major, and Alana Siock, a first-year French major, as well as Sydney Vanvourellis, a first-year Physiology major. Prize winners were honored at a reception on Thursday, May 10, 2018 in the Heritage Room of the Weinberg Memorial Library. Please consider giving to the Bonnie W. Oldham Library Research Prize Endowment Fund, ensuring that the prize will be awarded in perpetuity. Make your gift directly to the fund here. This #GivingTuesday, help support student learning and information literacy for up and coming University of Scranton Royals by giving to the Bonnie W. Oldham Library Research Prize Endowment Fund. Named in honor of the late Bonnie Oldham, Associate Professor Emerita at The University of Scranton and Library Research Prize founder in the Weinberg Memorial Library, the Bonnie W. Oldham Library Research Prize recognizes excellence in student research projects that show evidence of significant knowledge in the methods of research and the information gathering process, and use of library resources, tools, and services. It is the program in the Weinberg Memorial Library that most exemplifies the Jesuit ideal of magis–striving for excellence–as it relates to information literacy and students’ development of research skills and dispositions that will enable them to become leaders in their fields and professions. Help us fully endow the Prize in perpetuity by making a donation today on #GivingTuesday! Select “Weinberg Memorial Library” as the area you wish to support. Mention the “Bonnie W. Oldham Library Research Prize Endowment Fund” in the Additional Comments box at the bottom of the page. The application deadline for projects completed in Summer or Fall 2017 is Monday, December 4, 2017 at 4:00 pm. There will be another deadline for Spring 2018 research projects. Winners will be announced at the end of the Spring 2018 semester. It is with the greatest sadness that I share with you that Professor Emeritus Bonnie Oldham passed away this past Friday. Bonnie just retired in late May. She will greatly missed by all of us here at the University of Scranton and beyond our campus. Please keep Bonnie’s husband, children and family in your thoughts and prayers. The obituary for Bonnie is in today’s Times Leader (Wilkes-Barre) and Times-Tribune (Scranton). 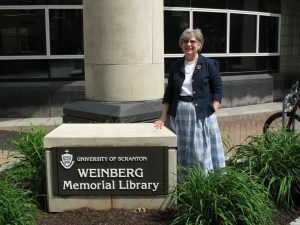 Bonnie expressed her wishes that, in lieu of flowers, you please consider a gift to the “Bonnie W. Oldham Weinberg Memorial Library Research Endowment Fund,” in care of: The University of Scranton, Office of University Advancement, 800 Linden St., Scranton, PA 18510. The Bonnie W. Oldham Library Research Prize, which Bonnie helped develop, was inaugurated by the Weinberg Memorial Library in 2011, and is designed to recognize student excellence in research projects that show evidence of significant knowledge of the methods of research and the information gathering process, and the use of library resources, tools, and services.